One of the finest parks in the Ile-de-France region. The Château was built at the beginning of the 18th century. 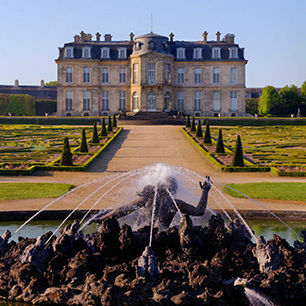 It was rented by Mme de Pompadour, mistress to Louis XV. The classical building houses rooms that feature Regency and baroque style panelling and a fine collection of period furniture and paintings. The Château boasts one of the finest parks in the Île-de-France region. Site with the "Outstanding Garden" label. 2018 Cultural Events: conferences, concerts, exhibitions, etc.